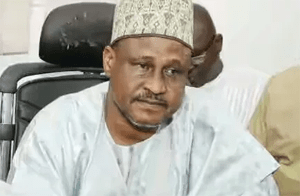 The Director General of the Bureau of Public procurement (BPP), Mamman Ahmadu, has declared due process as an essential recipe for the actualization of Nigeria’s set objectives. Ahmadu made the declaration while welcoming a team of the Edo State Public Procurement Agency (ESPPA) delegation who were on a study tour/visit to the Bureau’s office, Abuja for a weeklong procurement activity. He stated that collective growth is what can sustain the nation’s development and only due process through public procurement can deliver that result. Reiterating the fact that the visit of the ESPPA will further consolidate the relationship of the State’s Procurement Agencies with that of the Federal so that we all can be on the same page in the reform. In the same vein, Mamman Ahmadu opined that the right choice is to uplift many in the country, emphasising that the public procurement process in line with transparency and accountability will change the narrative in this dispensation. In this regard, he maintained that players must be responsible to help Nigeria realise its desired goal by way of treading the path of good governance just like other sane climes, according to a statement by the Bureau’s Chief Press Secretary, Segun Imohiosen. During the interactive session with the delegation from Edo State Public Procurement Agency, the Director General observed that the thought behind the establishment of the Bureau of Public Procurement is a laudable idea. He said that it is the only way to go to salvage Nigeria from the throes of corruption, noting the visionaries saw the future and reasoned that due process will revive the economy of the country. The MD/CEO, ESPPA, Henry Imogiemhe Idogun, while responding to the DG and management staff of BPP explained that to build capacity and deepen the procurement process by synergising with BPP is the right thing to do in order to prevent corruption in the country. He emphasised that Edo State Public Procurement Agency (ESPPA) has a robust E-Procurement Unit (E-Registration) as it upholds the spirit of transparency which is the hallmark of due process because it allows for minimal human interface.